RWS Moravia resolved these problems by integrating tools and building automations. As an added bonus, we provided tools to increase the visibility of their program data. The results were spectacular. (How about slashing turnaround times in half?) 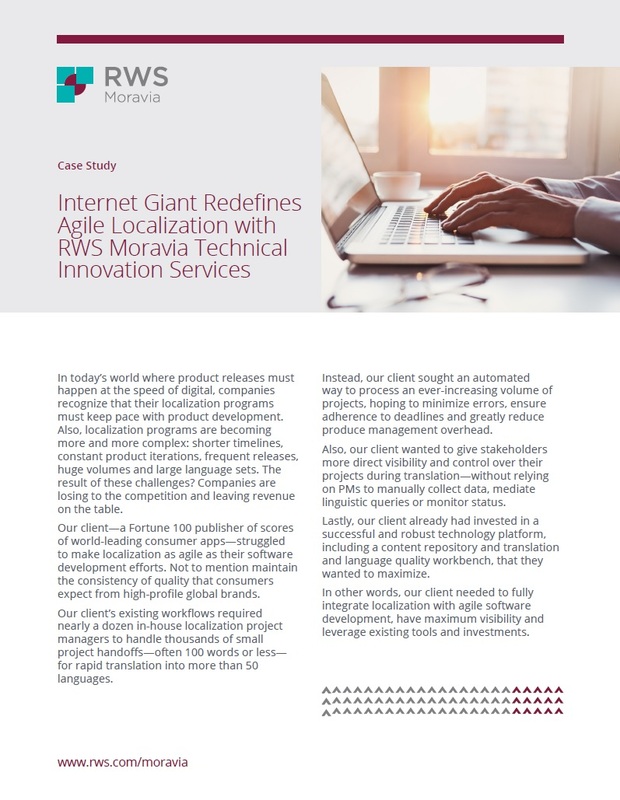 Download our case study to see how we did it.